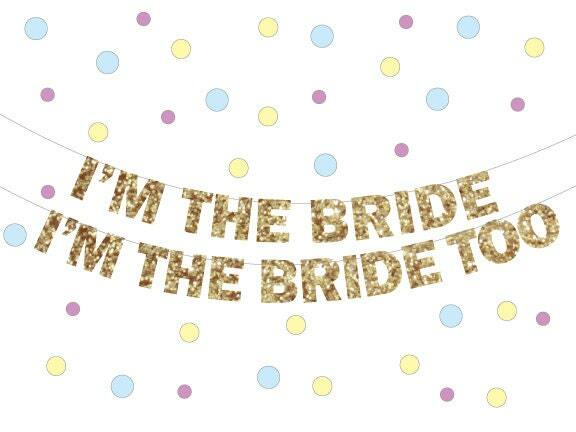 These glitter banners are the perfect touch of sparkle for your celebration! 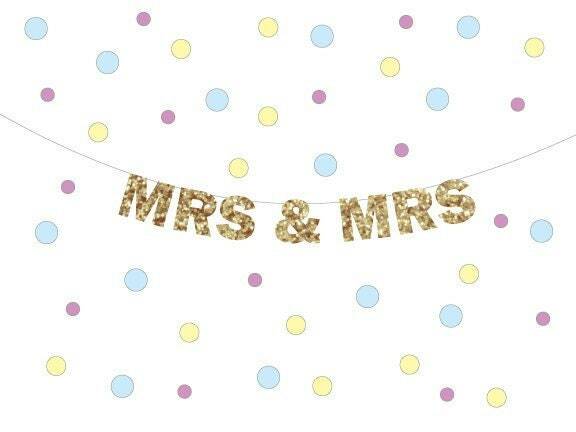 THIS IS TWO BANNERS FOR YOUR CHAIRS BACKS or wherever you'd like to hang them. 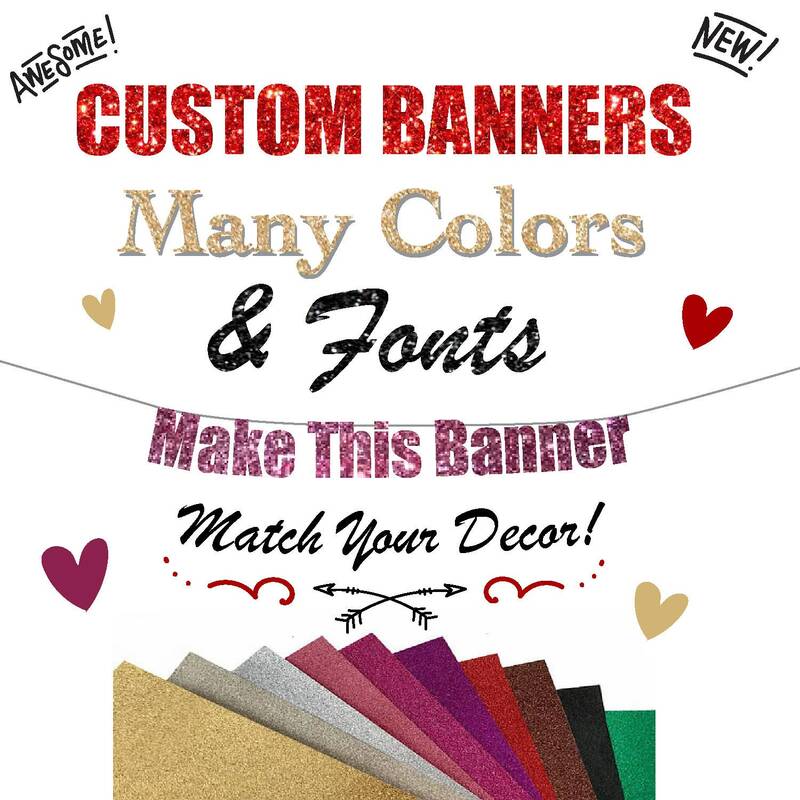 You can also order Custom Banners which are $2 per letter. Simply choose from the pull down menu "Custom banner 2a ltr" then put in how many letters you want in your banner from the quantity. Put your phrase in the custom are and your type style too. 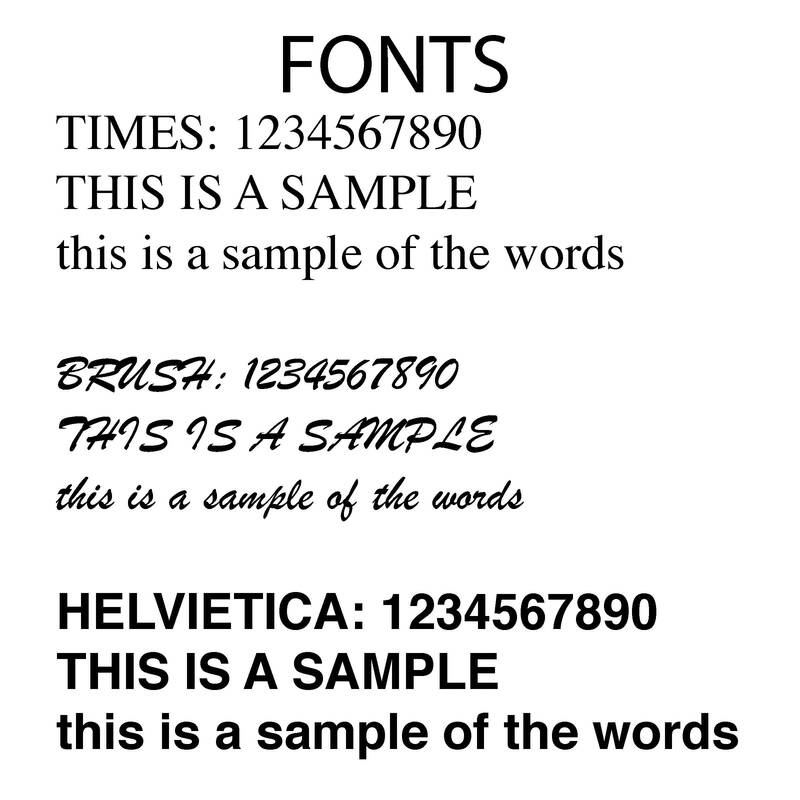 If you do not choose a custom font we will send you the one shown in the first photo. Letters are cut from glitter card stock and are about 4" tall . This is a single sided banner. The letters come ready to be hung on the twine that is provided as part of this kit. All of my orders are shipped first class mail unless you upgrade. 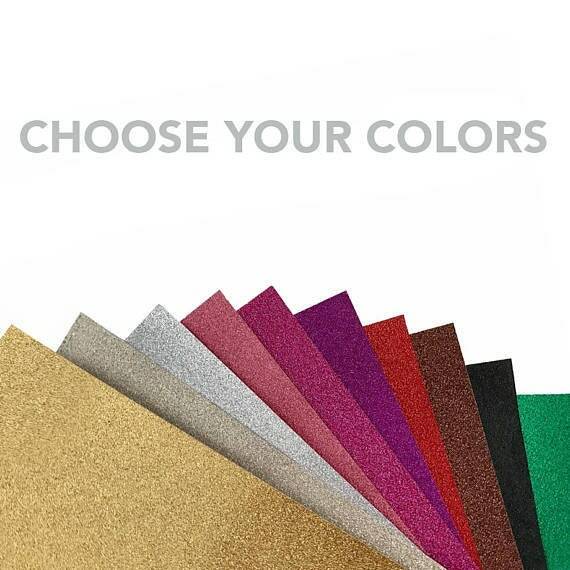 I also offer Express shipping for orders that need to be received in a matter of days. The postal service time varies by location and the amount of service you get in your area.